Wholesalers upload your custom Shield one color security yard sign design. One color imprint on white .055" polyethylene plastic. Choose from our standard screen printing colors or for and additional fee we can match your Pantone Colors. 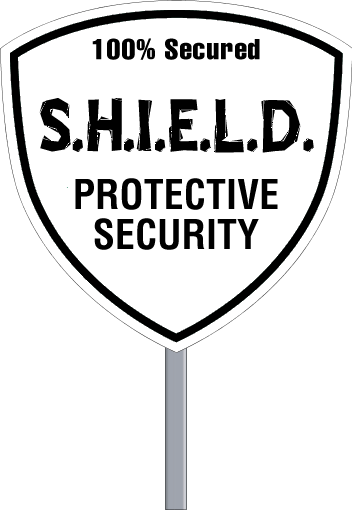 Shield Security Signs are 9 inches Wide X 9 inches Tall - Made from long lasting, weather-proof .055" polyethylene plastic. 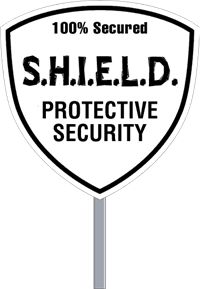 Plastic security signs are lightweight yet extremely durable. Send us your security sign design and we will print it for you.